What kind of educational background do the employees at your company have? Our employees have a wide educational background such as engineering, design, marketing, business administration, law and political science. Many university students work in our stores along with their studies and many of them continue full time at 66°North after they have finished their degree. What qualities do employees need to possess to be considered outstanding; what’s the extra mile? An outstanding employee is positive and shows initiative. He cares about customers and collegues and wants to provide outstanding customer service. We look for candidates who have that spark in their eye and want to do the hard work to acheive something phenomenal. What makes your company more attractive to young people for kick-starting their career? 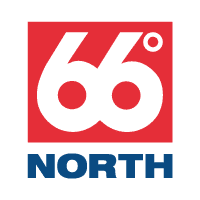 66°North is a well known brand with a 90 year history. Over the past few years the company has grown rapidly in new and exciting ways. We encourage individual growth and there are many opportunities within the company to grow. Therefore 66°North can be the perfect platform for you to kick-start your carreer. How does your company support sustainability and the United Nations Development Goals? We care about our customers, colleagues and the environment. Gender equality is important to us where both women and men are in key management positions. We produce most of our product line in our own factories in Latvia where we can ensure that the conditions are up to standards.